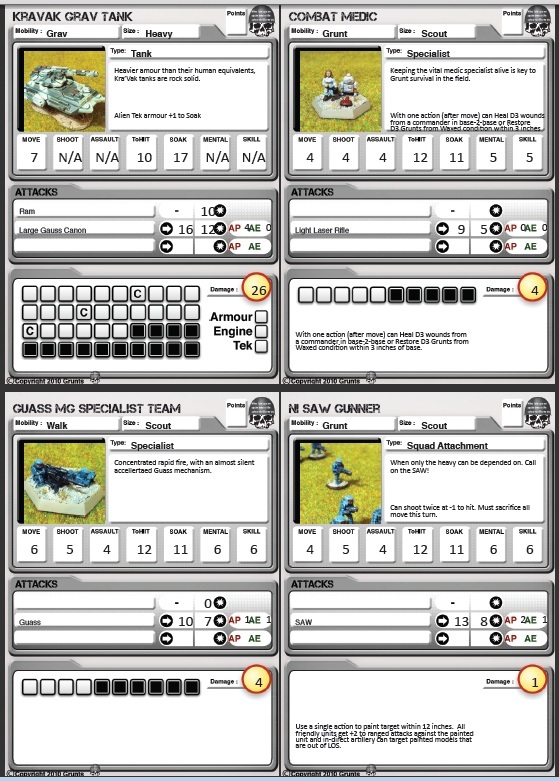 I have produced a draft set mixed profile cards for the SCI-FI 15mm miniatures used in Grunts. Some are new, some are updated but they are all now in a standard format. They are still missing images in some cases and a ton of typos. 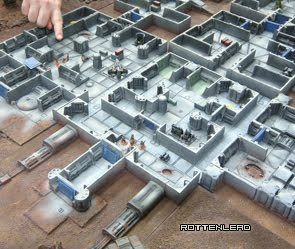 layout issues and occasional missing weapon systems! This is due to my focus being on getting the process of card creation sorted. I have this organised now, so I can very rapidly fire out more. 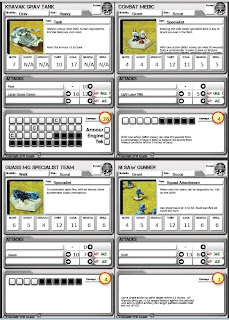 After this weekends participation games at Warfare I will be fired up to start pumping out cards. Don't forget to think about using "Proxy" troops while all the various faction stats and perks are created. The new file is called: "47 Profiles Nov-18 v0.1.pdf" . For members of the yahoo group, it is inside the Grunts profile folder in the usual place shared file location. You will notice the details of the medic/mechanic, Roach VTOL and a variety of other updated items are in the mix. WARNING! The file size is set to the collector card size (ultra pro sports cards). When you print, make sure you choose multi images per page (4 being ideal). 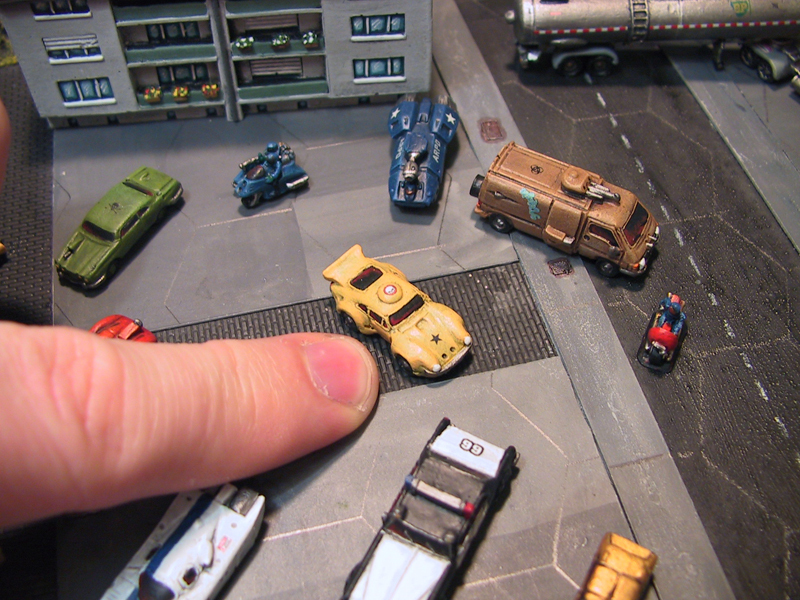 You can then cut them out and slot them into collector card sleeves. Also note that when you open the PDF, Adobe will enlarge it massively for you but don't fear they are small collector card sized and will print small (not filling your full page). When printing in Adobe, choose "Page Scaling", "Multiple Pages per Sheet" and select 4 per page. This will print the entire set of cards on around 14 Letter/A4 sized pages. Corrections and more images are welcome feedback, so I can create additional cards with your photos of figures would be great. Please share with me if possible.